Ghostbusters is such a classic movie, but I always thought that Winston Zeddemore got a raw deal. Ernie Hudson is a great actor too, so it’s especially surprising that he ended up with such a superfluous kind of role. And while there’s not much you can do to undo that wrong, we can at least give Winston the credit he deserves. 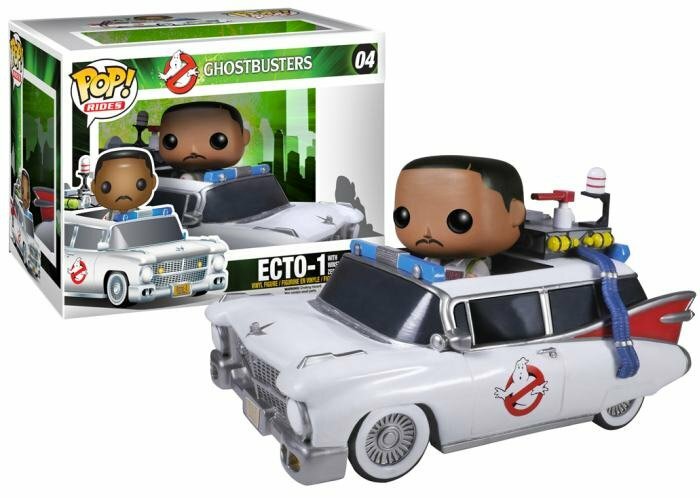 Here’s an idea – give him his very own Ecto-1! That’s exactly what Funko has done with their Pop! vinyl toy, which includes both Winston Zeddemore and the Ghostbusters’ Ecto-1. It only makes sense, given the fact that Winston did most of the driving. And in case you’re wondering, Winston and his ride aren’t glued together, so you can also stick your Venkman, Spengler and Stanz figures in there too. They’ve been a little tricky to keep in stock, but you can try both Toy Wars or Entertainment Earth to get one on backorder.